The surplus of Ukraine’s balance of payment in 2018 grew by 12.1% compared with the previous year, to $2.88 billion, according to preliminary data published by the National Bank of Ukraine (NBU). “The surplus of the balance of payments is recorded for the fourth year in a row. In particular, last year, primarily it was thanks to a significant inflow of capital in a financial account: obtaining official funding from international partners and borrowing on foreign markets,” the regulator said in a press release. According to the NBU, in 2018, the current account deficit increased to $4.65 billion from $2.44 billion a year earlier due to the widening deficit of trade with goods. The favorable foreign economic situation for most of the year and the high harvest of grains and oilseeds in 2018 supported export growth, but the complication of transportation in the Sea of Azov and repairs at some enterprises held back its growth, the regulator said. The NBU said that strong domestic demand and high energy prices have led to a high growth rate of imports of goods compared with exports. According to the NBU, in 2018, exports of goods grew by 9.2%, to $43.34 billion, while imports by 14.0%, to $56.3 billion. The central bank said that the sale of food products abroad increased by 4.8%, primarily thanks to an increase in sales of grain crops by 11.4% in monetary terms. In addition, exports of ferrous and non-ferrous metals grew by 15.3% thanks to favorable pricing conditions. The largest increase in exports, as the central bank said, occurred in the EU countries – by 15.5%, as a result of which the share of EU countries of total exports of goods increased to 37.6% from 35.6% in 2017. At the same time, the share of Asian countries decreased from 32.4% to 31.5% and Russia’s – to 7.0% from 8.5%. As for imports, energy imports increased by 15.0%, primarily due to higher global energy prices, the NBU said. 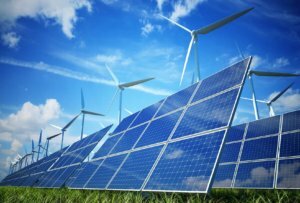 The regulator said that non-energy imports grew by 13.7%, in particular, under the influence of strong domestic demand, imports of engineering products continued to grow at a high rate – by 17.8%, food and industrial goods – by 17.6% and 21%, respectively. Last year, most of all, imports of goods from Asian countries increased – by 27.3%, as a result, their share increased to 22.4% from 20.1% in 2017. At the same time, despite the increase in imports from EU countries (by 12.4%), their share decreased to 36.6% from 37.2%. Russia’s share also declined – to 14.2% from 14.5%. The National Bank links the growth of services exports over the past year by 10.6%, to $15.67 billion, primarily, with an increase in exports of services of the IT sector, processing of raw materials supplied by customers and the provision of services in the field of tourism. Imports of services increased 8.0%, to $14.2 billion thanks to an increase in the costs of Ukrainians going abroad and the increased demand for transport and other business services. 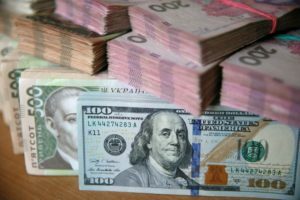 The National Bank estimated remittances to Ukraine from Ukrainians working abroad over the past year at $11.33 billion, which is 24.3% higher than the 2017 figure. At the same time, nonresidents in 2018 withdrew revenues from previously invested funds in the amount of $8.54 billion from Ukraine, exceeding the similar volume of the previous year by 27%. Reverse flow amounted to $0.37 billion, or 90% more than in 2017. According to the NBU, the net capital inflow on the financial account rose to $7.49 billion, which is almost 1.5 times higher than the 2017 figure. In general, at the end of the year, the inflow in the private sector prevailed, but at the end of the year, with the unblocking of cooperation with the IMF, the role of the public sector increased significantly. In particular, in the fourth quarter, the government placed $2 billion in eurobonds and attracted financing from the World Bank and the EU totaling $1 billion. Net inflows of foreign direct investment (FDI) to Ukraine, according to NBU estimates, amounted to $2.36 billion in 2018, which is less than in 2017 ($2.59 billion). More than half of FDI – 58% – were sent to the real economy, while investment in the financial sector accounted for 42% of the total volume, almost half of them were banking sector operations for re-issuing debt into charter capital. The NBU said that thanks to the surplus of the consolidated balance of payments and obtaining an IMF loan, Ukraine’s international reserves increased by 10.7% over the past year, to $20.8 billion or 3.4 months of Current External Payments (CXP) at the end of 2018.